This week I’m sharing the form I created to monitor vocabulary progress in speech therapy. 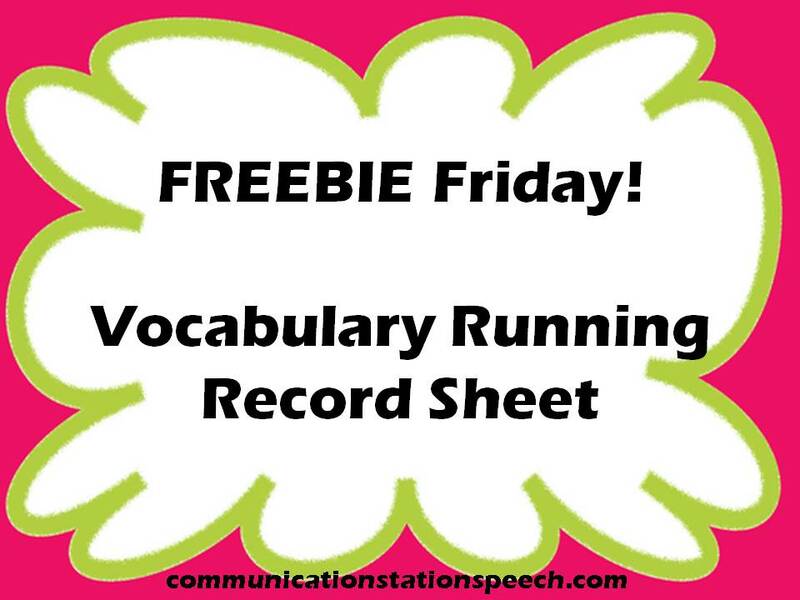 If you missed my Tip Tuesday post this week about how I use running record sheets to record and monitory vocabulary in order to meet speech and language goals, you can read all about it here! 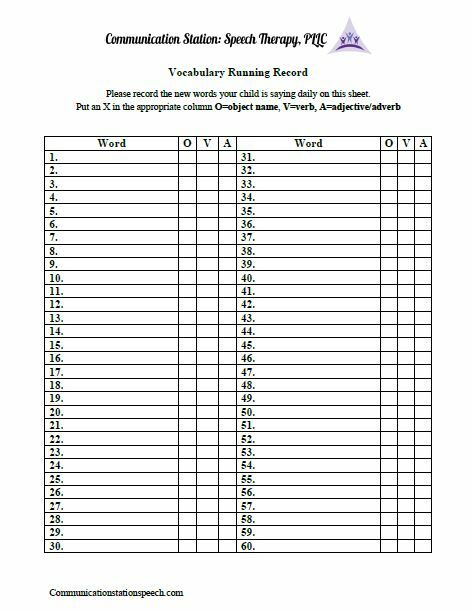 Here is what my Vocabulary Running Record sheet looks like. I like to print on the front and back of paper so as not to waste space. With that said, when you click on your freebie you will see two pages (exactly alike) in which you can simply print (front to back) however many copies you need and it will print accordingly. I hope you enjoy using this simple sheet as much as I do! Remember to write your client’s name at the top along with if it is the baseline, receptive or expressive vocabulary you are tracking at the time. Again you can read all about this in this week’s Tip Tuesday post! 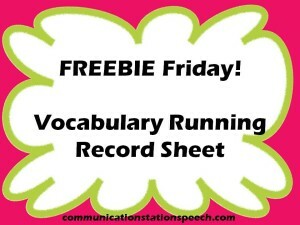 ← Tip Tuesday: Using Running Records to measure Vocabulary!